Hot Springs, AR, March 4, 2014 – Great Range Capital today announced it recently led a team of investors, including company management, in acquiring Mountain Valley Water Company of Hot Springs, Arkansas. Mountain Valley, “America’s Premium Water since 1871,” is the oldest continuously operated bottled water company in the United States. It competes in the premium segment of the bottled water market and serves individual consumers, major retailers and food service operators in all fifty states and selected international markets. “Mountain Valley provides a top-tier domestic alternative to imported premium bottled waters. 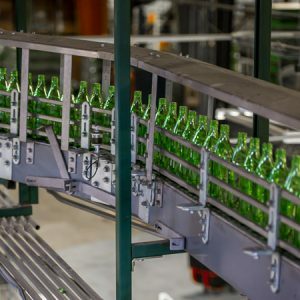 The company’s historic brand, glass packaging and superior taste and mineral content resonate strongly with today’s conscientious consumers,” said Ryan Sprott, Managing Partner of Great Range Capital. “We are pleased to partner with Mountain Valley and its employees and look forward to building upon its legacy as ‘America’s Premium Water,’” added Paul Maxwell, Managing Partner of Great Range Capital.